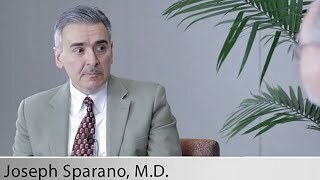 When should the Oncotype DX test be used for DCIS patients? Have been recently diagnosed with DCIS and are making treatment decisions with their doctor. Have had a lumpectomy or biopsy. It’s performed after the original surgery to remove your DCIS tumor, but before you start treatment—since the test is intended to help guide treatment decisions. Learn more about how the Breast DCIS Score test works. Genetic tests help people understand their risk for getting cancer. 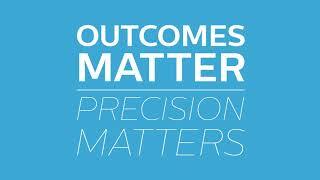 Genomic tests help people who have been diagnosed with cancer with their treatment planning. Once you have cancer, the activity of certain genes in your tumor tissue influences the behavior of your tumor, including how likely it is to grow and spread. The Oncotype DX Breast DCIS Score test looks at these genes to help you and your doctor make decisions about your care. What differentiates the anatomic stages of breast cancer? How does this affect my eligibility? There are five different anatomic stages of breast cancer: 0, I, II, III, and IV. These stages tell you how much the cancer has grown and spread. For example, stage 0 cancer is an early form of cancer that is not invasive, contained in one place, while stage IV is cancer that has spread throughout the body. Learn more about the anatomic stages of cancer. 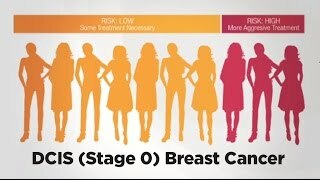 If you have ductal carcinoma in situ (DCIS), you have stage 0 (non-invasive) cancer. “In situ” means all of the cancer cells have not spread outside the milk duct. Only patients with DCIS are eligible for the Breast DCIS Score test. If you have anatomic stage I, II, or IIIA breast cancer, you may be eligible for the Oncotype DX Breast Recurrence Score test. What does it mean to be ER-positive or ER-negative? If the cancer cells in your breast have estrogen receptors, they are called "ER-positive". ER-positive cancer cells (like normal breast cells) may receive signals from estrogen—so the cancer might respond to hormonal therapy. If the cancer cells don’t have estrogen receptors, they are classified as "ER-negative". With ER-negative cancer cells, hormonal treatment is unlikely to work, so your doctor will look for other options. Patients with either ER-positive or ER-negative DCIS may qualify for the Oncotype DX Breast DCIS Score test. How long will it take to get the results of the test? Most results from the Breast DCIS Score test are available around two weeks from the date the tumor sample is received by the Genomic Health laboratory. The results are sent to your doctor so that he or she can discuss the results with you and answer your questions. The Oncotype DX Breast DCIS Score test is covered by Medicare, and private insurance coverage varies. In addition, Genomic Health’s Genomic Access Program (GAP) helps patients navigate insurance and other payment options for Oncotype DX tests. Learn more about insurance coverage and financial assistance. Below are videos that can help you learn more about DCIS, treatments and personalizing your breast cancer treatment with Oncotype DX test. If you have questions about the Oncotype DX test and would like to speak with a knowledgeable Customer Service specialist at Genomic Health, please contact us. Not all DCIS patients will benefit from the addition of radiation therapy to their treatment. Genomic Health's Oncotype DX Breast Cancer Assay for DCIS patients provides a DCIS score from which breast cancer doctors and their patients can determine the appropriate personalized treatment plan. 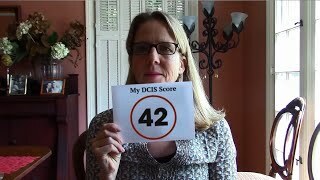 Meet Jen - Oncotype DX DCIS Score 42. Dr. Jay K. Harness sits down with Dr. Joseph Sparano to analyze the utility, design and development of the Oncotype DX Breast DCIS Score. 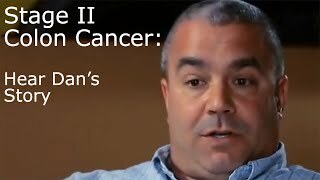 Dr. Jay K. Harness sits down with Dr. Michael Alvarado to talk about a patient who benefited from the Oncotype DX Breast DCIS Score.